OxiClean, the miracle cleaner pitched by the best beard in infomercial history (RIP Billy Mays), claims that it can remove the stubbornest of yellow armpit stains. I put that claim to the test. 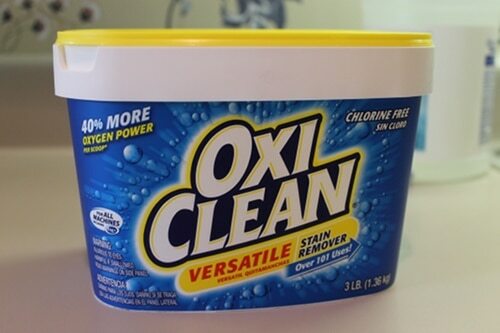 All you have to do is fill up a sink with warm water and mix it with one scoop of OxiClean. 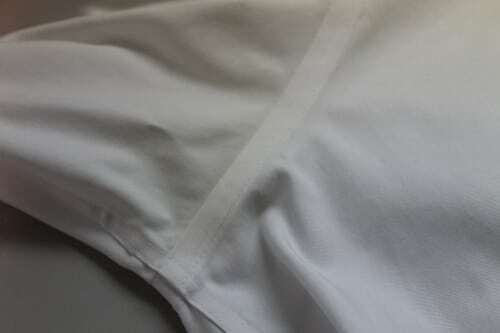 Place your blighted shirt in the sink, making sure the yellow stains are completely submerged. For mild stains, just let the shirt sit for an hour; for DEFCON 5 stains, let your shirt sit overnight. 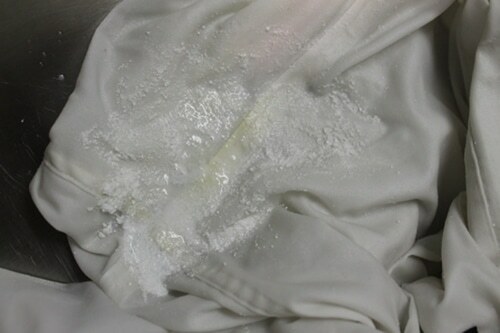 After you’re done soaking, rinse your shirt and launder as usual. Because my experiment shirt still had yellow pit stains, I used it in the OxiClean experiment. I followed the directions on the box. The one thing I did differently was actually rub a thick mixture of OxiClean and water on the stain before putting it in the more diluted mixture. Why? I don’t know. It seemed like it would do something. I let the shirt sit overnight. After waking up from dreams of battling a sleuth of cyborg bears in a jai alai death match, I went to check on my shirt. The intense yellow stains that once graced my pits had nearly vanished. I rinsed the shirt off and threw it into the wash. When I took it out, the stains were pretty much gone. Six years of yellow pit stains were blasted away with just a scoop of OxiClean and a little help from the ghost of Billy Mays’ beard. OxiClean is color safe, so you can take care of those yellow stains on your blue oxford shirts, too. The only precaution to keep in mind when using OxiClean on color clothing is that some clothing fades more easily when using products like OxiClean. Test for colorfastness in an inconspicuous area before using the product.